When the people of Long Island need a top plastic surgeon, they turn to Dr. Arnold Breitbart. He specializes in many procedures, but is noted for his skill with breast augmentation. Patients receive attentive care when they visit Dr. Breitbart, who provides satisfaction and safety during cosmetic breast augmentation. Dr. Breitbart gives his Long Island patients personalized medical attention, making sure their aesthetic goals are reached. Dr. Breitbart’s Manhasset office is convenient for Long Island residents to reach, making it easy for them to meet for a complimentary consultation. Dr. Breitbart provides an evaluation, a slide show of before and after shots, a question and answer session and medical exam. To learn more about Dr. Breitbart’s breast augmentation procedures or to schedule a consultation, please contact us today. 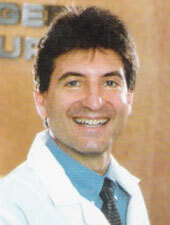 Contact us to arrange a private consultation with Dr. Arnold Breitbart - Manhasset, NY today. "Excellent experience, professionalism! I will definitely recommend the services to others. Stuff excellent! " "We were extremely impressed with Dr. Breitbart's credentials but since he was the first doctor who we spoke with about this surgery, we would like the opportunity to consult with at least 1 other doctor before we decide." "Nice office, nice staff, did not make me feel rushed,doctor had warm hands! Graciously made accommodation for my husband to come in with me even though he needs a special chair which takes up space." "Satisfied with the consultation & treatment by the doctor & office staff." "when i made the appointment i was quoted a mini tuck would cost from 1800 - 3000. so i would consider highly if price was less." "i would like another consultation with a different and well experienced rhinoplasty specialist with a amazing track record. it seemed like this doctor had only done the procedure a dozen times. he said differently but how am i to know. i would like somone with a proven track record"
"Dr. Breitbart was very pleasant and friendly and that made me fell less nervous. However I did not understood why Dr. Breitbart needed to take some pictures. I think that's something to be done only when you decide to go thru with the procedure, not before. Dr. Breitbart provided a thorough explanation of the procedure, and recovery time, I don't think we have talked about the riskts. I had other appointment with other doctor, I was told about the risk of leaks in breast augmentation and what could be done about it, he also explained me that in the lipo case sometimes (rare) it may happen we need to go throw it again.He said the pictures will be take after I my decision, also explained his credentials and the costs will be just a little bit less. Is very important that I feel confident with my choice , if I can have that combined with nice costs that will be even better since after this procedure I will need to go thru with my eyes and maybee my nose. So I would like to thank you not only for the free Consultation, but as well for Dr. Breitbart's attention. I will have these procudures for sure but I'm still deciding what's better for me. Thank you once again. Maria Norte "
"Based on what The Doctor was saying during the consultation proved that he knows that procedure very well. Although I don't have any knowledge in medical domain for, I'm a registered student at Baruch College for an MBA in Finance. Yet, you can feel when somebody, throughout the given explanation,knows his/her sphere very well and that was the case for Doctor Arnold , he's very confident and this is quite important in professional life.and also I think any patient,to be successful in this procedure, has to feel very comfortable with the Doctor,if he/her doesn't that's mean this Doctor isn't the right one for the procedure and I'm already so comfortable with Doctor Ronald. "